Throughout its history, Venice has always been a city which is open, friendly, respectful and tolerant to everyone: it is also a safe city, maybe the safest in the world, due to its unique nature, architecture and atmosphere, therefore the perfect city for gay people and, nowadays, homosexual tourists and guests. 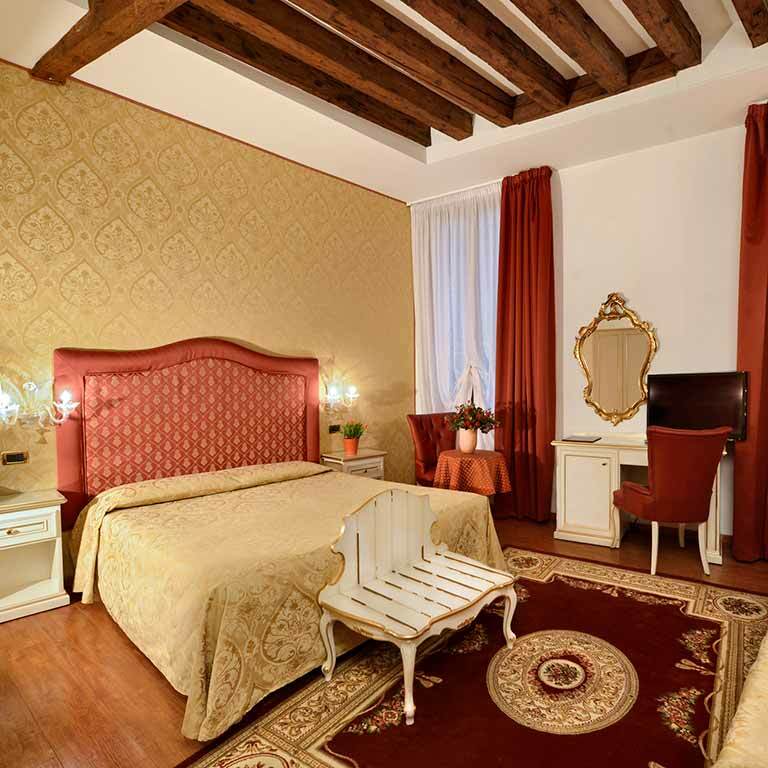 Locanda Casa Querini is glad to let you know about some of the best places for gay in Venice. First of all, visit St. Mark's Square, with its stunning Basilica of San Marco, the Doge’s Palace, the Bridge of Sighs, the Museum Correr, the Bell Tower. It’s all 5 minutes walking distance from our small charming hotel. Another place which is easily reachable with a fantastic walk across Riva degli Schiavoni is the Biennale of Art and Architecture whose main events and exhibitions take place at the Arsenale and the Giardini (the greenest part of Venice). Heading to the opposite side don’t miss a visit to the stunning museums on the Grand Canal all at short walking distance one another: contemporary art merges perfectly with Classic and Renaissance art in museums such as Palazzo Grassi, Accademia Galleries, Ca’ Rezzonico, The Peggy Guggenheim Collection and Punta della Dogana. Don’t miss at the end a tour on the Giudecca island, a sort of 'Venetian Soho', full of art galleries and lively places all along the canal overlooking Venice main island and St. Mark’s Basin, and, from June to September, a day on the beach at the Alberoni seaside resort in Venice Lido.